As business leaders we tend to pay a lot of attention to the metrics important to the business, that is, revenue, cash flow, profitability, growth and so on… but the real drivers of these business outcomes are customers. So the obvious question becomes what customer metrics should I be tracking to make sure my business metrics continue to head in the right direction? As a first step it is important to track customer satisfaction, this will provide some inputs as to how well the business is performing on delivering what it promises. But remember customers have already paid for satisfaction, they expect to get what they paid for. So high levels of dissatisfaction are an obvious and immediate cause for concern. Satisfaction is not enough, even highly satisfied customers can and do switch to alternatives so it is important to also look at Loyalty and Advocacy. That brings me to the next question (Fred Reinhold calls the “Ultimate Question“) How likely are you to recommend us? 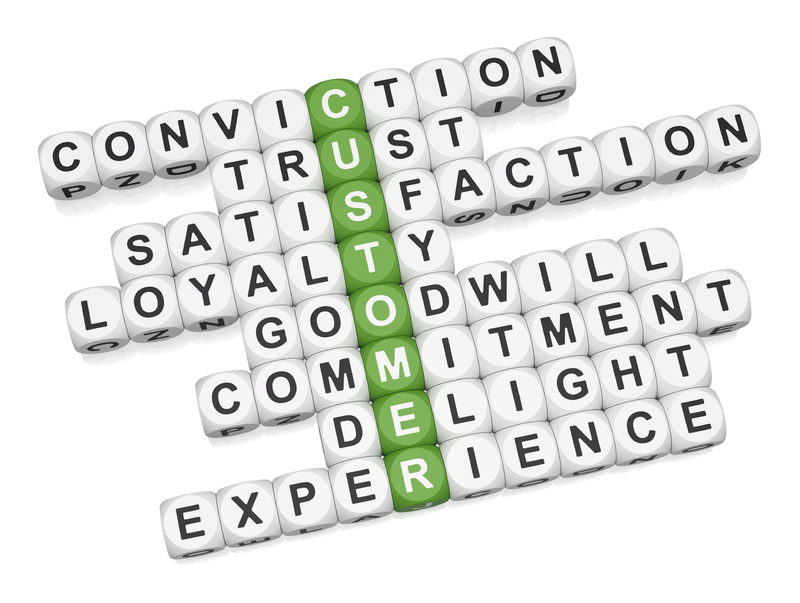 Loyal customers not only bring you repeat business, they also expand your customer base through positive word-of-mouth. The net promoter score is a simple tool designed to identify 3 types of customers, promoters (advocates with strong positive word of mouth), detractors (negative word of mouth) and those in the middle. The goal is to drive up the number of promoters as a way of driving business growth. This is a more advanced metric specifically looking at the value a customer places on what you offer. Value consists of an equation that includes CUSTOMER PERCEPTIONS of price, service and product quality. Customer value analysis looks directly at how customers view your business vs. your competition and provides you with valuable information on what you might need to adjust in terms of both product and service quality, as well as price, to increase market share and revenue. Customer Acquisition metrics include customer awareness levels, the information sources customer use to make purchase decisions, and cost of acquiring a customer. Churn (%) measures how many customers are leaving, that is, customer attrition. Churn is a commonly used metric related to customer retention. Specifically, this is about knowing how many customers are defecting and why. Customer Complaints are usually an early warning signal that something is wrong. Most customers will not complain they will just take their business elsewhere. Complaints although often difficult to hear are a gift that can help course correct. How customer obsessed is your organization? How would you know? This is the question we received from a CEO of a Global 1000 company a number of years ago. It led us to the development of the Market Responsiveness Index (MRI) to answer that very question. This is an organization-wide metric design to measure the behavior of employees and the level of attention they pay to customers in their daily work. It is a one of a kind tool that allows you to benchmark your company versus the best in the world, you can check it out here. What Criteria should I use when deciding on Customer Metrics? Ultimately you want to choose the right metrics for your specific business, they should be tailored to the unique business drivers and business strategy. Tracking customer metrics is important for many reasons, but the most important reason is cultural. It gets everyone on the same page, aligns people across the different parts of the business, and leads to a customer-focused culture of success. You should celebrate wins when a key customer metric reaches a new and important milestone. Choosing the right metrics and celebrating progress against them are incredibly important to building a strong customer culture that can work together and grow rapidly. What customer metrics are you using? This entry was posted in Collaboration, Cross-functional Collaboration, Customer Advocacy, Customer Centric Culture, Customer Experience, customer focus, Customer Metrics, Customer Satisfaction, Customer Value, Customer-Centricity, Life Time Value, Market Driven, Silos, Uncategorized, Voice of the Customer and tagged customer metrics; customer culture; customer value; net promoter score; customer loyalty; customer advocacy. Bookmark the permalink. Very nice article on the famous Drucker quote “you can’t manage if you don’t measure”. Thanks for letting us know! Seems we are having some hosting problems, maybe we should be moving to rackspace! Will get the site up ASAP and let u know, in the meantime reach out if you have anything specific you were looking for and I can help you with.